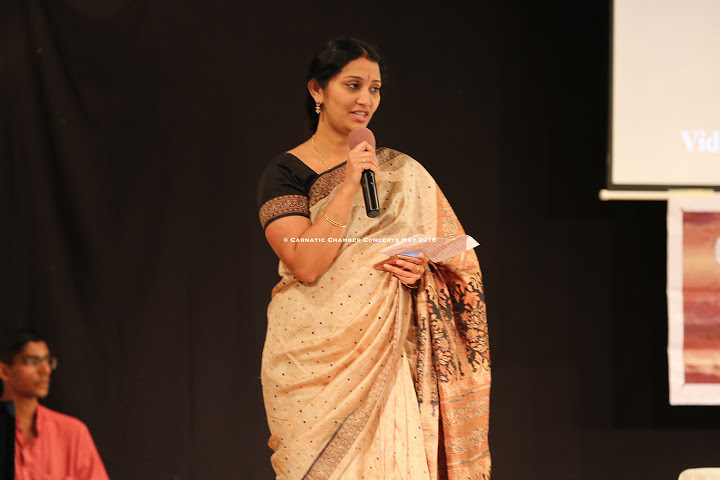 Carnatic Chamber Concerts thanks Vidhushi Smt. Kasthuri Shivakumar for being a part of CCC and for sharing several tips on voice modulation in vocal singing to our CCC children. The beautiful demonstration with examples about the importance of voice modulation based on bhavam, the appropriate usage of tonal quality, pace and pronunciation in songs and the significance of speed and volume in a song are invaluable. These wonderful information will help our talented CCC children to enhance and polish their performances in the future.